The final tally is coming in for this year’s budget season, namely, the Capital Improvement Plans for major municipalities. The next five years appear rosy for publicly funded infrastructure and public works projects, a boost of 7.28 percent in the five-year totals from last year. That is notable in percentage increase Y-o-Y and in the strength of recovery: The Top 10 programs have rocketed up 39 percent off the low set in FY15. Construction in the public sector depends on tax revenue, especially property taxes, revenue bonds and – in some cases – sales tax revenue. The strength of the overall economy typically leads to increased tax coffers, which ultimately leads to investment in infrastructure systems like roads, water and wastewater systems, parks, et cetera. The protracted length of the economic recovery was desperately needed to replenish municipalities’ reserves and capital funds depleted by the Recession. Local agencies CIPs stayed depressed for a long time. From the low point in FY2012 through 2016, the sum of the top capital programs hovered around $13B. Only in FY2017 did the aggregate total jump up 5.2 percent. Then FY2018 had a massive 24.9 percent increase, and in 2019 we see a 7.28 percent increase again. That sustained Year-over-Year growth in the five-year total, combined with broadly projected economic growth for the next three years, bodes well for a continued positive outlook in this and all construction market sectors. ADOT has officially handed off the reigns to the City of Phoenix as the top Capital Program in the state. For the past seven years, ADOT has sat atop the leader board. It led last year with a $5.47B five-year program, while Phoenix came in at #2 with a healthy $4.89B total. This year they have effectively switched places: Phoenix’s five-year CIP total now sits at $5.65B, and ADOT has $4.989B. The increase for Phoenix tops 15.5 percent, while ADOT decreases its five-year by 8.77 percent. Valley Metro, City of Mesa and Maricopa County round out the top 5, with totals of $2.3B, $1.6B and $1.4B, respectively. Valley Metro and City of Mesa also show enormous growth in their totals, jumping up 26.77 percent and 36.01 percent respectively. The City of Phoenix has been on a serious upswing since T2050 was passed by voters in August of 2015. The sales tax initiative funds transportation projects over the next 30 years. At first it was a trickle into the long-range capital program; now the revenue stream is strong and steady. Projects such as light rail extensions and roadway improvements are funded with this measure. Another notable reason for the massive increase in CIP projections is the proposed water rate increase the city is discussing. The rate increase will fund investment in the water system for years to come, including a $500M Colorado River Resiliency Plan. Newly added projects in the water and wastewater departments top $350M, with more likely to come. ADOT produces the State Transportation Improvement Plan or STIP, which projects out the next five years’ capital investment. The STIP shows new projects listed for adding a new $51M General Purpose lane on L101 Price Freeway, from Baseline to SR202L SanTan, and a $163M SR101 Pima Freeway Underpass project, at I-17 – Pima Road and Miller Road Underpass. Both of these newly added projects are funded in this current fiscal year, and neither have selected engineering or construction services. Valley Metro ain’t done at all… Earlier in the budget season we had pegged this year as the last year for a big increase in this agency’s five-year plan. That was incorrect. The agency shows a massive increase of nearly 27 percent to $2.3B over five years. While no new projects are added to the major transit projects we’ve been tracking, the next five years will see light rail exploding all over the Valley – from South Central to Gilbert Road in the east; Northwest Phase II; Capitol/I-10 West, and even West Phoenix will all see construction activity in the next five years. 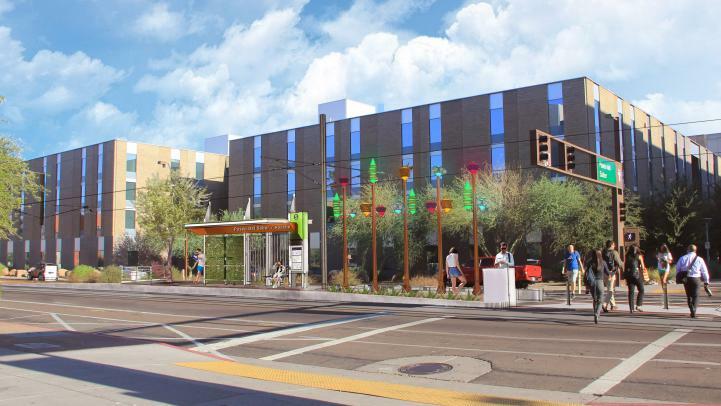 In addition to light rail extensions, the O&M Facility and Tempe Streetcar round out the major projects for Valley Metro. Prop 500 is being developed and will be proposed to residents as an extension of Prop 400, the half cent sales tax passed by voters in the early 2000s. Plans are already taking shape on that initiative. The City of Mesa is setting a new high-water mark in this cycle with their five-year Capital Improvement Plan total of $1.622B, a 36 percent increase over last year’s total. The main reason for the increased funding is a proposed $300M bond for public safety and facilities on the ballot in November. Notable projects added to this five-year plan include a new $6M Eagles Park on the former junior high school campus, new wells, investment in arterial road improvements, and several police and fire stations that had been sitting just off the five-year horizon in past years’ Capital Plans. Maricopa County is holding steady with its five-year Capital Improvement Plan, a barely perceptible 0.44 percent increase over last year’s total. The county operates very differently than municipalities when funding capital projects: It pays cash instead of using any sort of debt financing. Two major projects are under construction with the county: The Intake Transfer Release Jail, and the Madison Street Jail Adaptive Reuse project. The good news is that as those projects draw down on their budgeted funds; new projects are being added to the five-year plan to maintain a consistent level of activity. 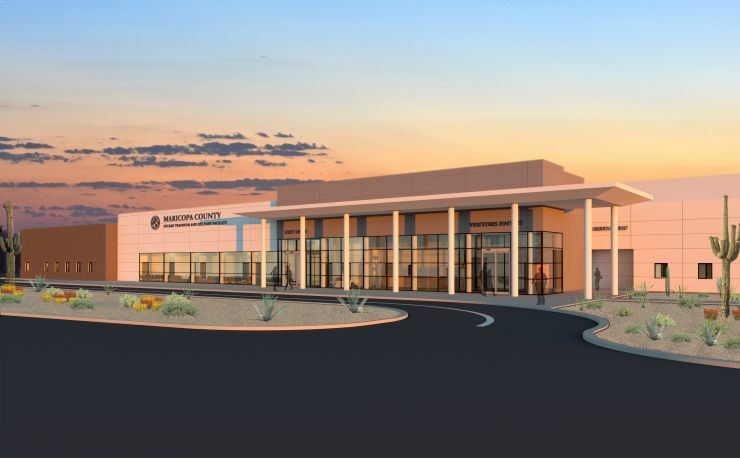 New projects added to the five-year plan include a $35M Southeast Regional Justice Center, a $6M Superior Court Central Building, and a $4.5M Fuel Station. Publicly funded construction projects appear to be following behind much broader economic indicators, such as GDP. When the overall economy started to recover in 2011, it took local municipalities another five years to realize a real recovery off the low point for Capital Improvement funds. Similarly, the five-year totals took a long time to realize the recession: While the broader economy officially started to nosedive in December 2007, the five-year CIP totals took another four years to bottom out. While the available funds for public construction projects have climbed significantly, so has the price of construction projects. No longer are bid prices coming in below Engineer’s Estimates. Rather, the lowest proposed price is higher than the Engineer’s Estimate more than 60 percent of the time, according to a recent analysis of as-read bid results by the AZBEX research team. In last week’s AZBEX Bid Results/Project Awards section, not one lump sum bid met the estimated budget. What does this all mean? Publicly funded construction projects are hitting a big upswing in Arizona, fueled by increased tax revenue and a broad-based positive economic outlook. The price of construction is going up, and there is risk in the market due in part to skilled labor availability and materials price increases. Those factors, however, do not reduce the need for continued investment in public capital assets. If anything, there remains opportunity for the market to respond with creativity and solutions that public entities might not be aware of. For a deeper discussion on this topic, and to hear direct from the agencies themselves, we invite you to attend the upcoming AZBEX Public Works Conference on Thursday, October 18th. Click here to view the event website where you can find program information, a list of all currently registered attendees, program topics, and much more.